Adorable Gift Baskets delivers gourmet food, fruit baskets, flowers, balloons, unique gifts and gift baskets to Durham, North Carolina for holidays and all gift-giving occasions. Gift Baskets gifts and presents bring smiles to the faces of all who receive them. "Thank You for the excellent customer service I received today. 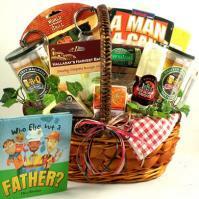 I have ordered from Adorable Baskets on several occasions and it is a pleasure to work with your staff. The recipients are always delighted with the baskets and the "live help" line is terrific. Thanks again! -Trish Jewett, Dubuque, IA"
The NC Museum of Life and Science (http://www.ncmls.org) has a large variety of hands-on exhibits that illustrate natural science concepts. The museum is located on some 80 acres. The main attractions are located on the northern side, which includes the Butterfly House, Farmyard, Caterpillar Cafe, Train, and many exhibits currently under construction. The Carolina Theatre (http://www.carolinatheatre.org) is a historical landmark that dates back to 1926. It has a seating capacity of 1,014 people and includes two balconies and two cinema screens. The Bennet Place farmhouse is the April 26, 1865 site of the largest American Civil War surrender of troops. Those who are interested in history or nature will also enjoy the 22-mile American Tobacco Trail. It is located along an abandoned railroad bed where open access is available to walkers, cyclists, and it is also wheelchair-user friendly. Also, at Horton Grove, one can visit the location of this enslaved African–American Community. Durham North Carolina is a fascinating city, known as the technology “Triangle” for its research and technology. The city is full of business opportunities, but on the other hand, provides plentiful fun and entertainment for families and individuals who want to visit! Durham is the county seat of Durham County, located on the Eno River in North Carolina. The population of Durham was estimated to be 198,376 in 2003. Nearby cities include Carrboro, Chapel Hill, and Gorman. Places of higher education offered in Durham are Duke University, North Carolina Central University, Durham Technical Community College, and North Carolina School of Science and Mathematics. A Brief History of Durham - The city of Durham was established in 1853 and named after Dr. Bartlett S. Durham, a landowner who donated right-of-way to the railroad. After the Civil War, Durham’s growth is attributed to a thriving tobacco industry being established. In latter years, textile mills added to the growth of the city as well. During the mid-twentieth century, Durham’s growth came to a halt due to competitors in the tobacco industry and a reduction of textile mills. However, between 1970 and 1980 multiple housing developments, downtown restoration projects, and the St. Joseph’s Historical Foundation helped to rekindle growth for the city. Some Interesting Facts about Durham - Some famous residents that have inhabited Durham are baseball players Rick Ferrell and Roger Lee Craig, 2006 Olympic snowboarding & snowboard cross gold medal winner Seth Wescott, and Dire Straits musician Alan Clark. Durham was also the filming location for the following movies: the 1988 film "Bull Durham," the 1990 movie "The Handmaid’s Tale," and the 1991 movie "Once Around." The city sports team is minor league baseball's Durham Bulls. Things to Do in Durham, NC - The business-minded city residents of Durham know how to have fun. Visitors to the area can catch a show, see a ball game, or dine on some of the best-tastin' Southern cuisine. Durham offers the Museum of Life and Science, the Museum of Art, the Sarah P. Duke Gardens, the Carolina Theatre, the Village Bowling Lanes, the Bennet Place, the American Tobacco Trail and much more. Visit the Official visitor information site for Durham, NC to learn more about Durham.